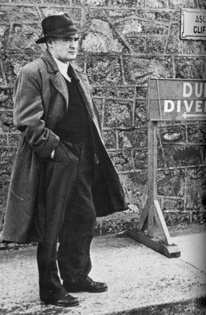 Flann O'Brien, whose real name was Brian O'Nolan, also wrote under the pen name of Myles na Gopaleen. He was born in 1911 in County Tyrone. A resident of Dublin, he graduated from University College after a brilliant career as a student (editing a magazine called Blather) and joined the Civil Service, in which he eventually attained a senior position.He wrote throughout his life, which ended in Dublin on April 1, 1966. His other novels include The Dalkey Archive, The Third Policeman, The Hard Life, and The Poor Mouth, all available from Dalkey Archive Press. Also available are three volumes of his newspaper columns: The Best of Myles, Further Cuttings from Cruiskeen Lawn, and At War.